Interventions and statebuilding; narrative approaches to knowledge; conflict dynamics, development and military practice, state finance and state formation. Drug and other illicit economies, security communities and defence cooperation, terrorism and political violence; sub-state actors and their strategies. 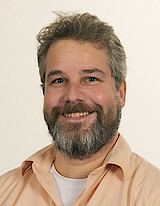 Florian Kühn is Editor of the Journal of Intervention. His academic career started in 2002 when he completed his Master’s degree in Political Science and German Contemporary Literature & Linguistics at the University of Hamburg. (Dissertation: Group Dynamics in Terrorist Groups: A case study of ETA). Following this, he did a Master of Peace and Security Policy at the Institute for Peace Research and Security Policy (IFSH - Hamburg University) on “War on Terrorism? The Case of Afghanistan”. In 2009, he was awarded his PhD (Dr. rer.Pol.) at the Helmut Schmidt University Hamburg—University of the Federal Armed Forces. His dissertation was about :“Security and Development in World Society – Liberal Paradigm and Statebuilding in Afghanistan”. Finally, he completed his habilitation on 27 June 2017 with the article: “Myths, Narratives, Ambiguity: Critical Epistemology and Political Economy of Contemporary Peace Practice and Security Policy”. (Cumulative habilitation).